The Cedar Brook Play Set has everything you need in one box! 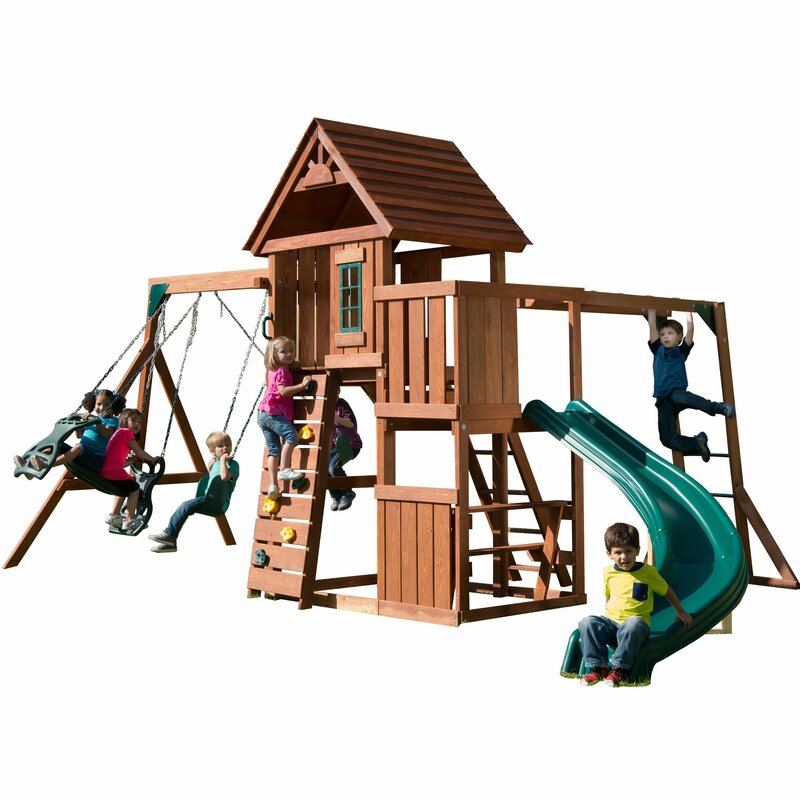 Includes premiumstained lumber, Lifetime warranty sidewinder slide, rock climbing wall with 8colorful climbing rocks, 2 swings with UV plastic dipped chain, multi-childglider, Soaring wood roof with sunburst gable, and easy to follow instructionmanual. The Cedar Brook has two deck heights (1) 4 ft. and (1) 5 ft.